We are slowly edging down the coast of Portugal towards the Algarve. The place is absolutely beautiful at the moment, with wild flowers everywhere, of all different colours and sizes, in shrubs, trees, on the cliffs,and in the sand dunes. We stumbled across a fantastic “secluded” wild camp spot on top of the cliffs behind the Lighthouse in the National Park. 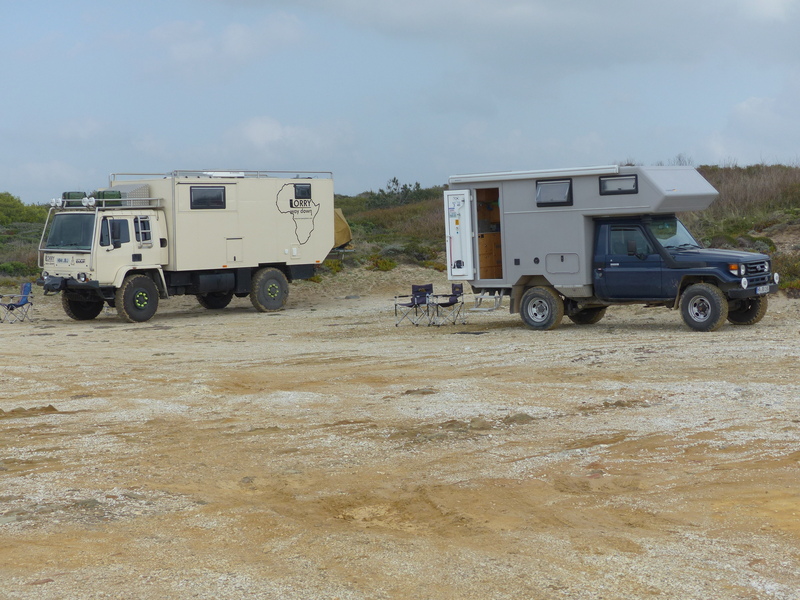 The only trouble was we were beaten to the spot by a German couple that had a fantastic Overland vehicle build on a pre-turbo Toyota Landcruiser. 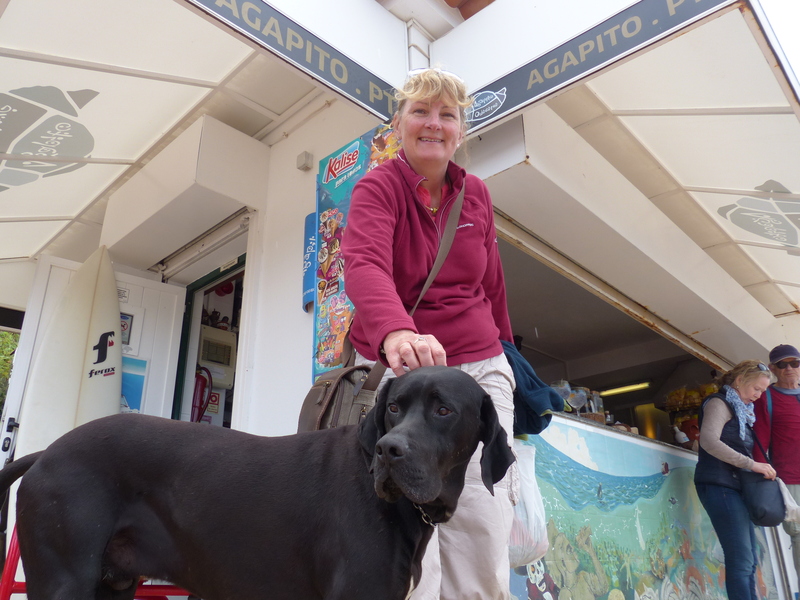 They had some fantastic tales to tell, having done some extensive travelling including a 36 month trip from to Southern most tip of South America to Alaska. It was interesting to meet them, and compare vehicles, I’ve got a feeling that there’s going to be a lot of that going on once we get to Africa. 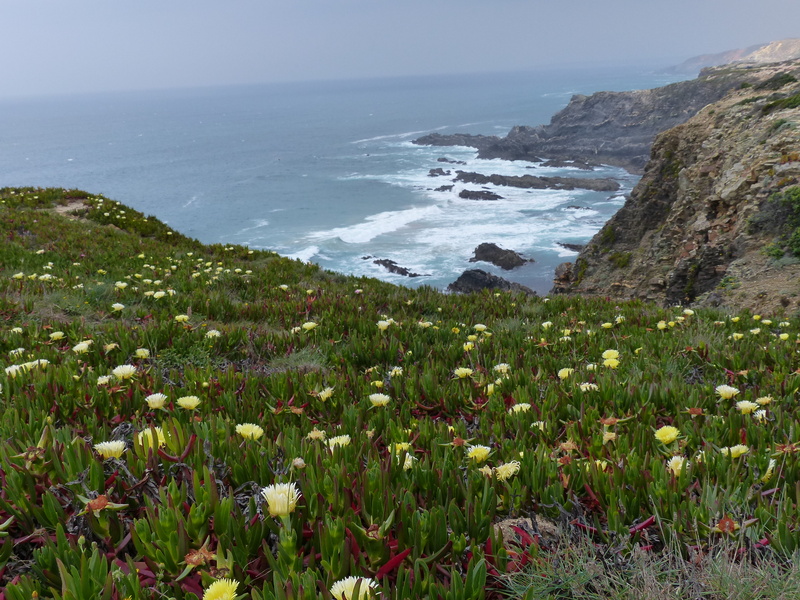 It was beautiful evening, and once we had dinner we set out for a walk along the cliffs, this is part of the Rota Vicentina long distance walk that follows the coast from Santiago down to the Southern most tip at Sagres. I think the total walk is about 350km, we have done various sections both on foot and on mountain bikes, (some sections can only be walked). During the evening as it was getting dark we could hear the jangling go bells, gradually getting closer and closer, but still not close enough to see what was causing it. 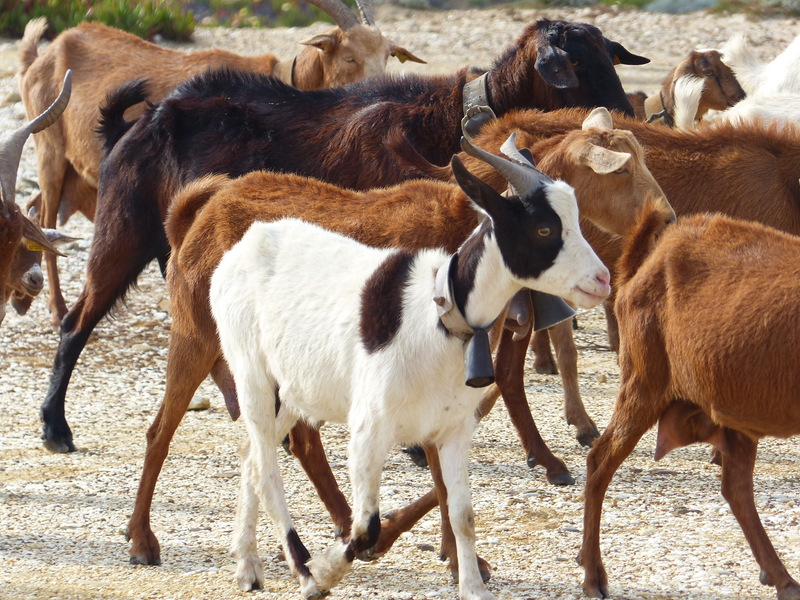 Eventually a herd of goats came into view, each of the adults with a bell round its neck. The noise was amazing and must drive them nuts! 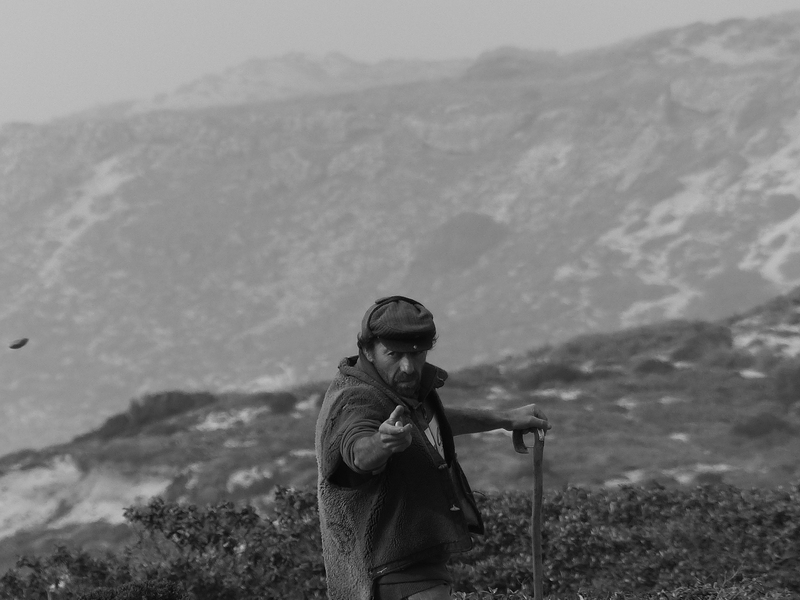 But the best bit was the Goat Herder (a lonely goat herder?) 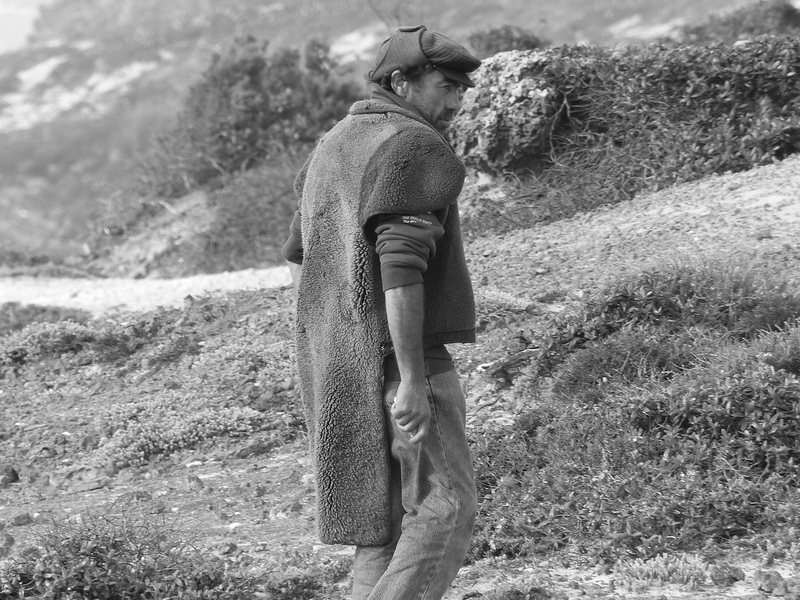 He was a proper man, with an actual goat skin for a cape, he looked as hard as nails! 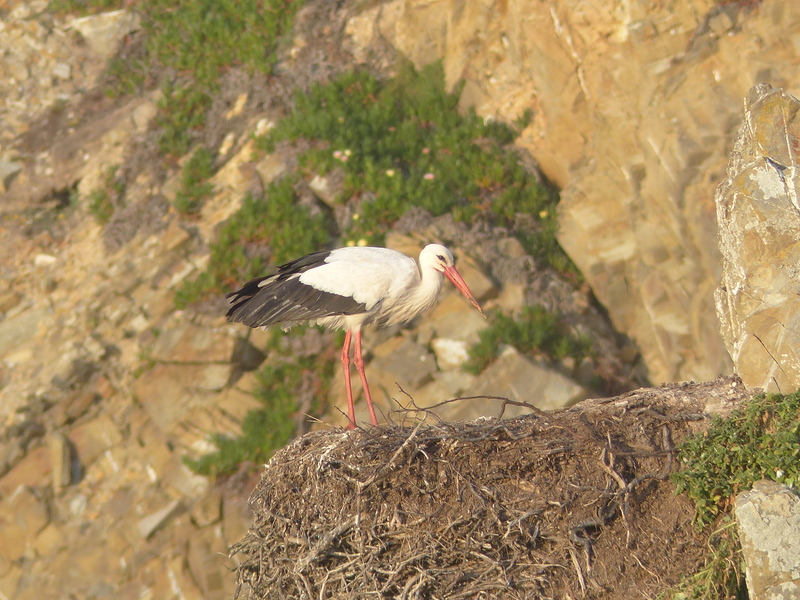 The Storks live on the most inaccessible and unlikely spots on the rocks and cliffs, how they don’t have their nest blown off I really don’t know! 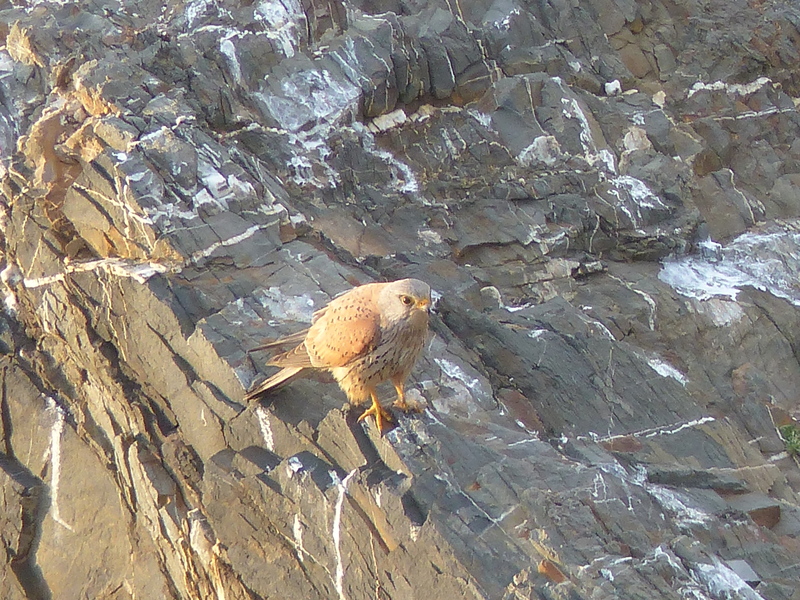 And of course there are the birds of prey in the cliffs too. 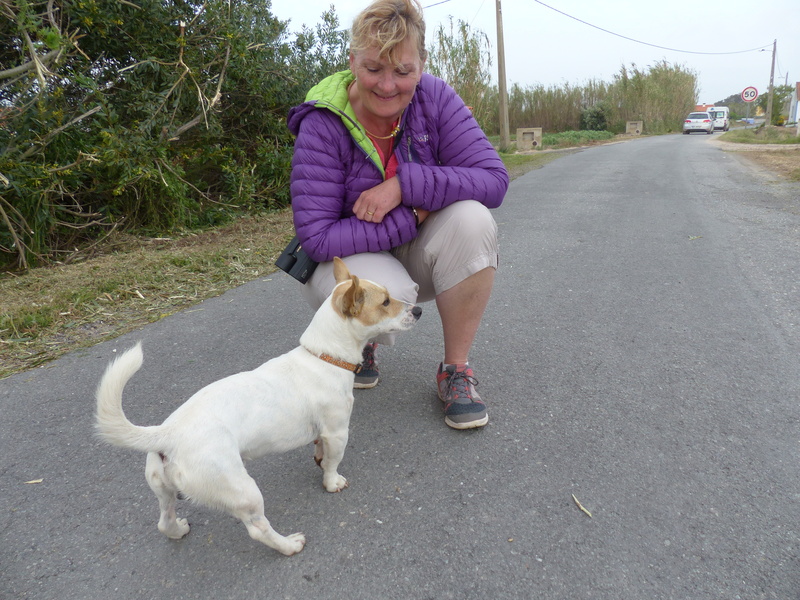 The next day we left our little piece of heaven up on the cliffs and headed for Porto Covo to find somewhere to fill up the water tank and empty the “nasty tank”. 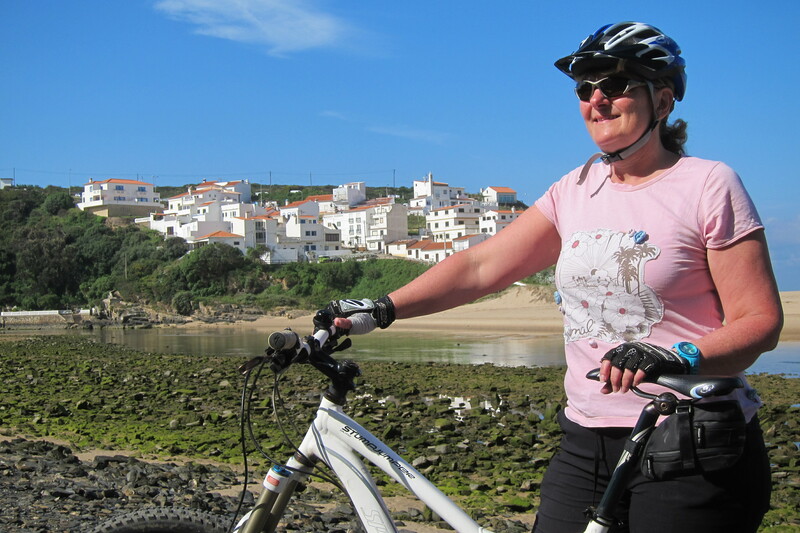 Next stop was a small village called Praia de Odeceixe, which seems to survive on surfers and camper vans. we stayed here for 2 nights in a car park up on the cliffs. The beach bar is a great place with a fantastic Portuguese Gin that had to be sampled, it was served with Fever Tree tonic, orange peel and fresh Rosemary, it was very very nice, but at 8.50 euros each, they are very expensive for a drink here. 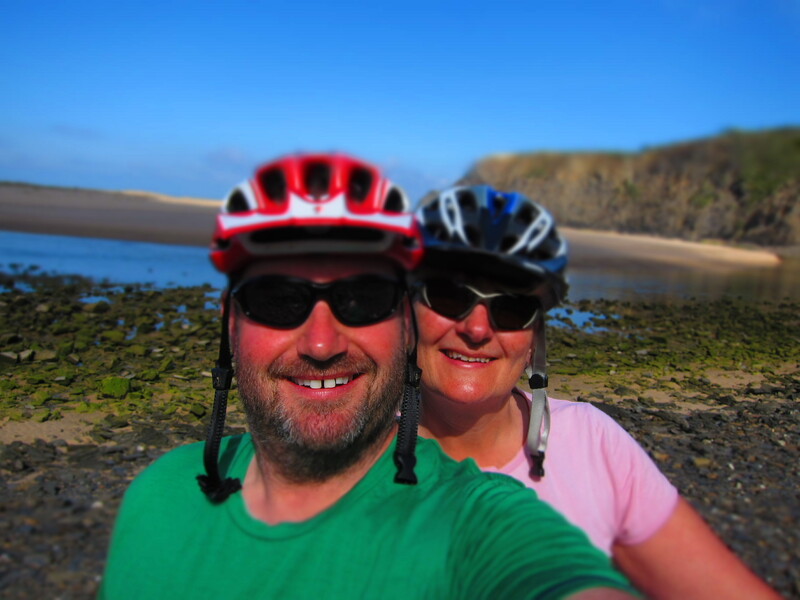 So it was back to Super Bock beer after that..
We had a cracking cycle ride while parked here, first down the river, across the bridge and the up the other side to the mouth of the estuary. After this we cycled back down to the road, and away from the truck until we saw a dirt track off to the right towards the river. I just happened to have my fishing gear in the rucksack so tried a few spots with some small lures. 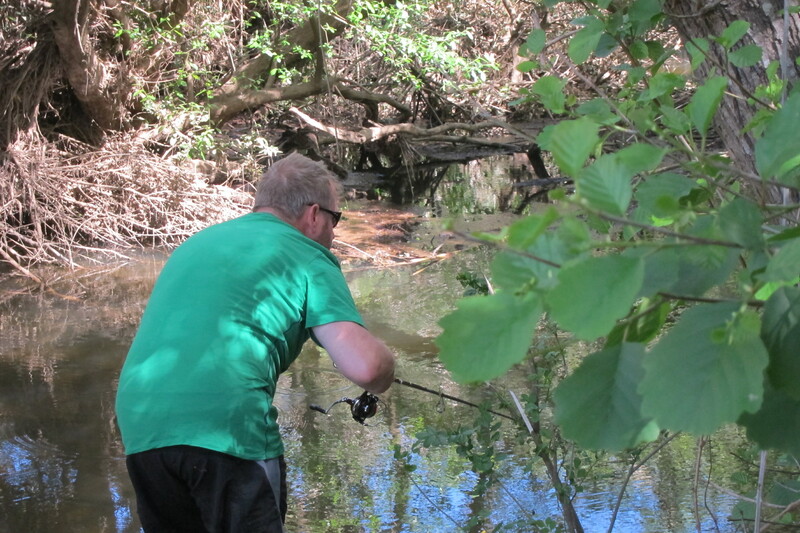 Twice I had fish follow the lure in the crystal clear water, and once had a take, only to lose the fish after about 10 seconds, Gutted! After about an hour, and having a bite of the lunch that Jac had packed up, we moved on down the track, finally finding a much deeper and cloudier section of river, so out came the tackle again (oooooaaaah), after watching loads of ‘Mullet looking type fish’ on the surface and not a bite to be seen, an old local bloke appeared muttering away to us. Plainly we couldn’t understand a thing he was saying, but I sure he meant “stupid idiot, using a lure in this place!”. We moved on and back to the truck via the beach Bar! So, why is today a wash out? Well it’s because its laundry day of course and where do you find washing machines in Portugal? In a surf shop of course! And with a young surf chick to help with our dirty smalls! Thanks Roser for all your help and for restoring the electricity when needed! Oh and letting us use the Wi-Fi to post this. 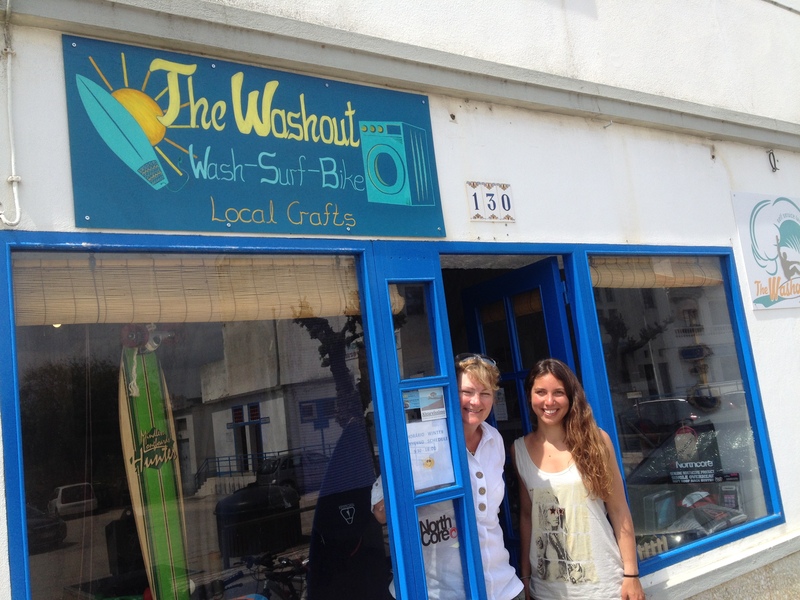 This is a great place and if you are needing laundry doing there are 2 machines and 2 driers in amongst the surf boards.